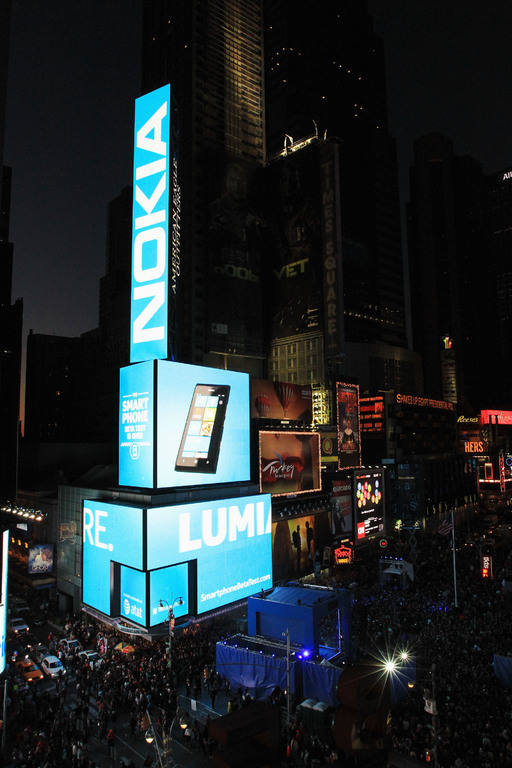 Nokia brought Times Square to a standstill last night as 30 thousand people watched one of the biggest electronic take-overs of the iconic New York landmark for the launch of the Nokia Lumia 900. 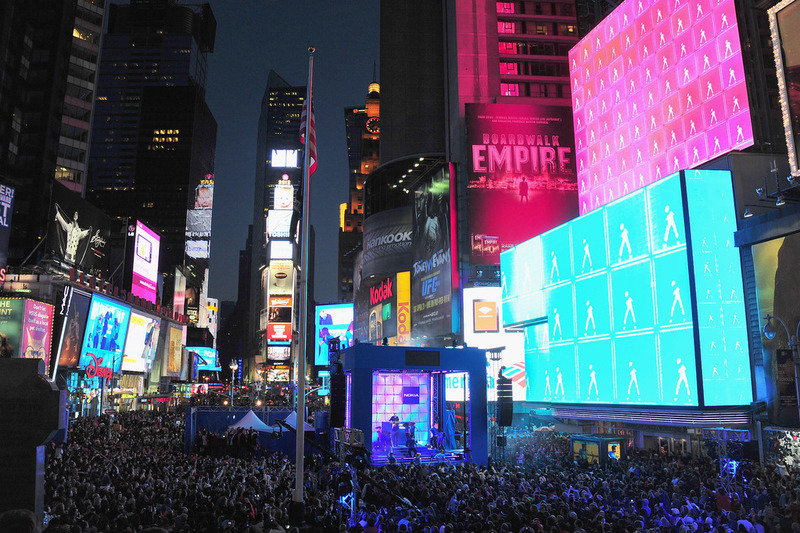 Using the latest CGI technology the team behind the massive Hollywood blockbuster, i-Robot, created one of the world's largest LED displays. 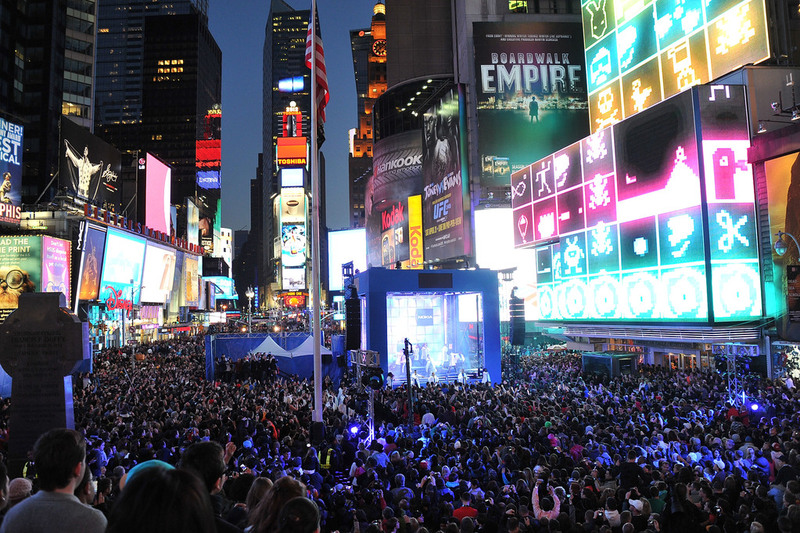 Nokia took control of nine of the square's famous electronic screens to ensure the crowd were immersed in light and music from every direction. The light show was introduced by international superstar Nicki Minaj, who sang a medly of tracks from her new album, ‘Pink Friday: Roman Reloaded’. Dozens of the world’s leading visual artists worked for more than 5,000 hours, day and night for more than three weeks, to create the hundreds of jaw-dropping effects that were used on the large screens. All of the electronic screens were controlled from a mobile server that was fed by eight miles of cable spread over four square blocks of the city. 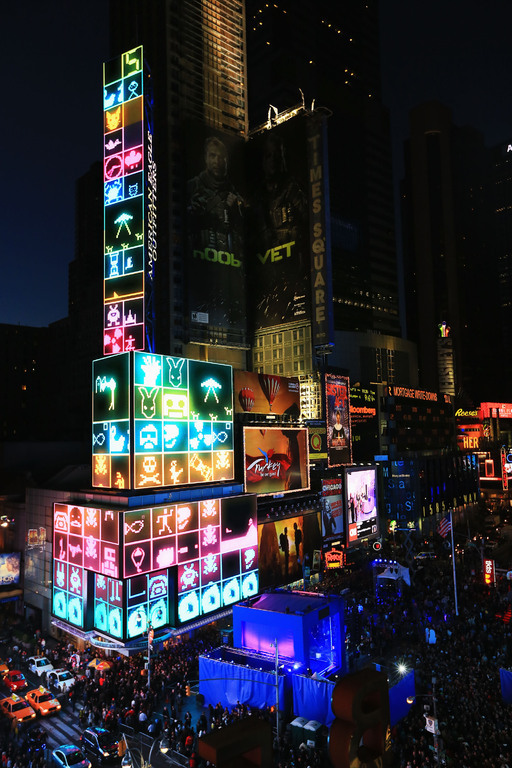 Combining real dancers with 200ft high computer generated graphics, a building in the Square was turned into a living, breathing entity. The building was made to appear as though it was filling with water and then "melting" in front of the crowd. 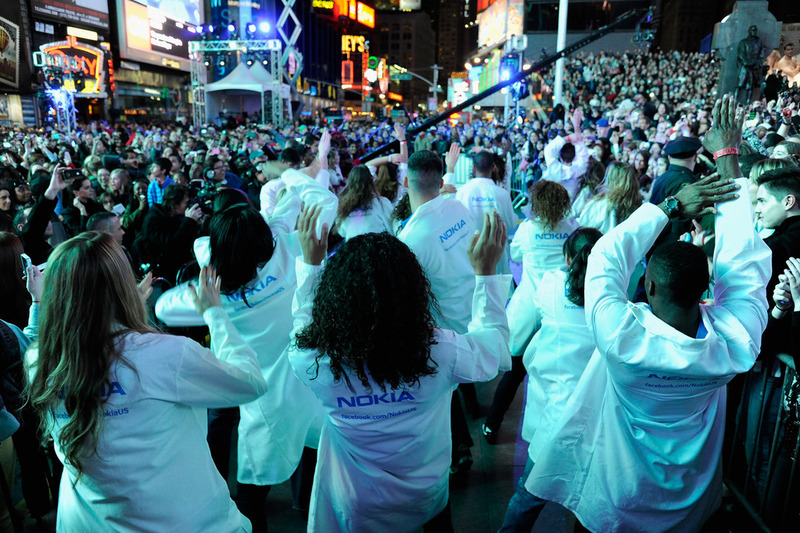 The ground-breaking visual event, to launch the Nokia Lumia 900 in North America, was choreographed to an exclusive Nokia Lumia remix of Nicki Minaj’s hit ‘Starships’, performed live by DJ and producer Doorly. She performed on a stage that had been erected in the middle of the square in the early hours of Friday morning. 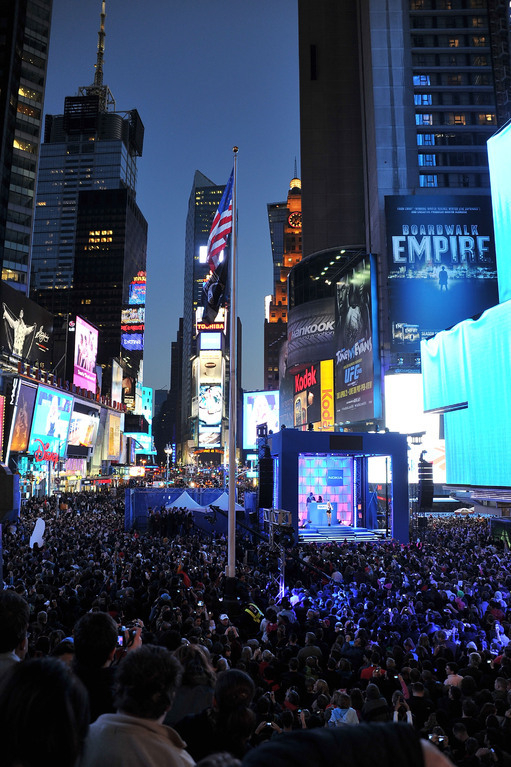 A massive countdown clock displayed across the square drew the crowds who were anticipating a big event without knowing what exactly was going to happen.